I purchased the bike in September of 1997 from Northwest BMW Suzuki in Columbus, Ohio. I highly recommend dealing with them (and their sister store in Cleveland); they have treated me very well. 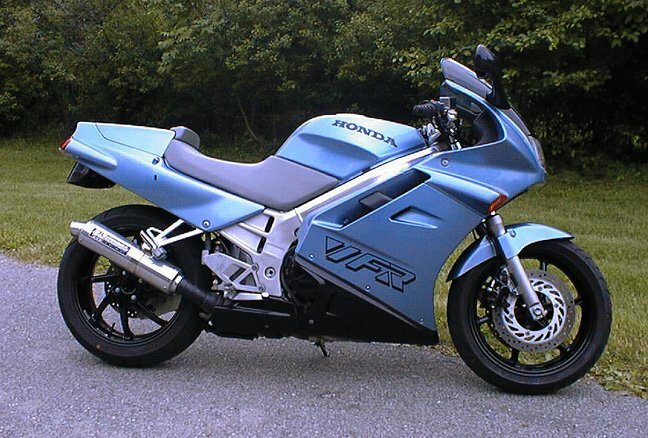 The bike was pretty much stock when I got it (with 9800 miles) except for the pipe and poorly chopped fender. On the next page, there's a pictures from the original sales brochure - which is pretty much what it looked like when I bought it - except for the pipe, fender and the grab handles. In the brochure (and on the other two '91s I've seen) the handles are bare metal, but mine are black rubber coated - I haven't discovered the source of this discrepancy yet.